The most prestigious children’s book awards in the UK include a healthy number of SCBWI names among this year’s nominees. But why are the Carnegie and Kate Greenaway medals so important? Ellie Brough, Co-editor, investigates and celebrates the SCBWI names on the coveted list. Earlier this month the nominations for the 2018 Carnegie and Kate Greenaway medals were published and everyone scrambled to the nearest internet-enabled device to see who made the list. We were thrilled at Words & Pictures to see so many SCBWI names on the list this year and as we were celebrating, it got us thinking; why are these awards so prestigious? Why do all children’s authors and illustrators dream mainly of these medals and not say the Waterstones Children’s book prize? I mean winning that would be great (I wouldn’t say no! ), but what gives a medal the upper edge? These awards are very clear in their aim – they are looking for quality literature and art that resonates beyond a first reading. They are not distracted by market trends, they are not limited by sales figures and they are not struck dumb by celebrity authors. 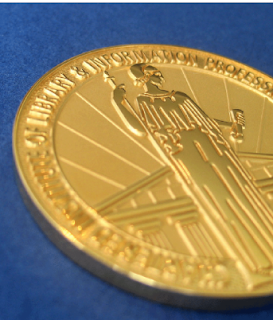 If you are nominated for a medal, you know that you have produced a work of the utmost quality. All formats of children’s literature are eligible for the Carnegie and Kate Greenaway Medals. The library and information specialists behind the awards understand that all reading is good reading and they treasure all mediums that provoke a love of word. Whether these are traditional picture books or graphic novels, all are welcome. The awards are run and judged by the Chartered Institute of Library and Information Professionals (CILIP), specifically by the Youth Libraries Group. This is a group of library and information specialists who are dedicated to preserving the provision of quality literature for children through the library system. They are not blinded by trends, names or quantity, they are only concerned with quality. Their expertise and their seal of approval are a validation of the quality of the material that the author and illustrator has produced. No wonder then that the Carnegie and Kate Greenaway medals have become so prestigious. They are described by authors and illustrators as the one to win and some of our lovely members have a chance! Please join us in celebrating with our SCBWI nominees! Jill Calder – What is Poetry?